The very official Ibanez Guitar R&D team for 8 strings. I suggest 8 string guitars with less strings. That's exactly we are thinking of. Something like 6 string guitar! 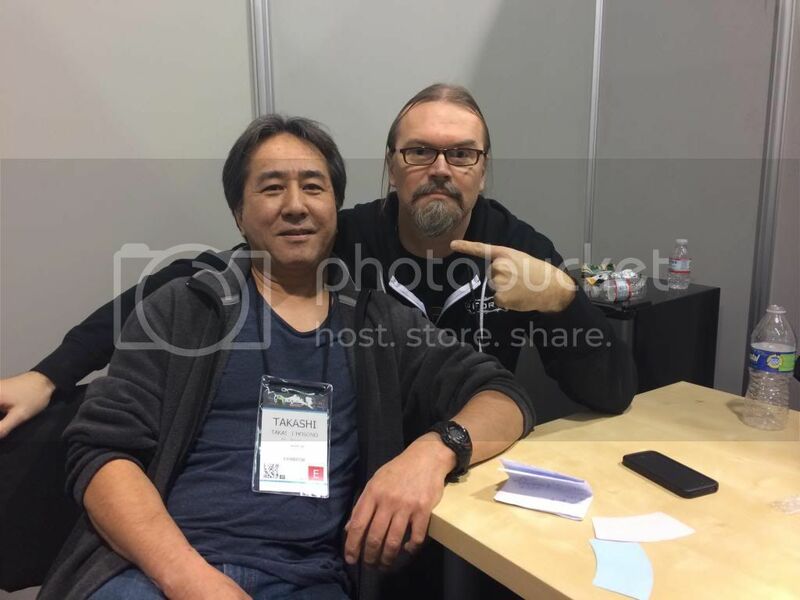 Yeah, my boss Fredrik came up with that idea at the NAMM show. We can sell millions of guitars! People will buy them! 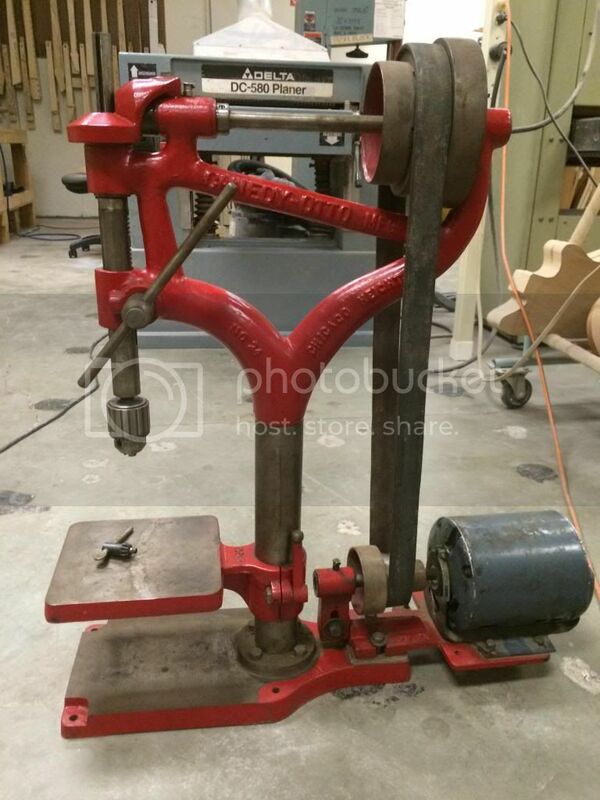 My almost 100 years old (1920's) drill press. Thank you very much. I'm slow but more stuff coming. 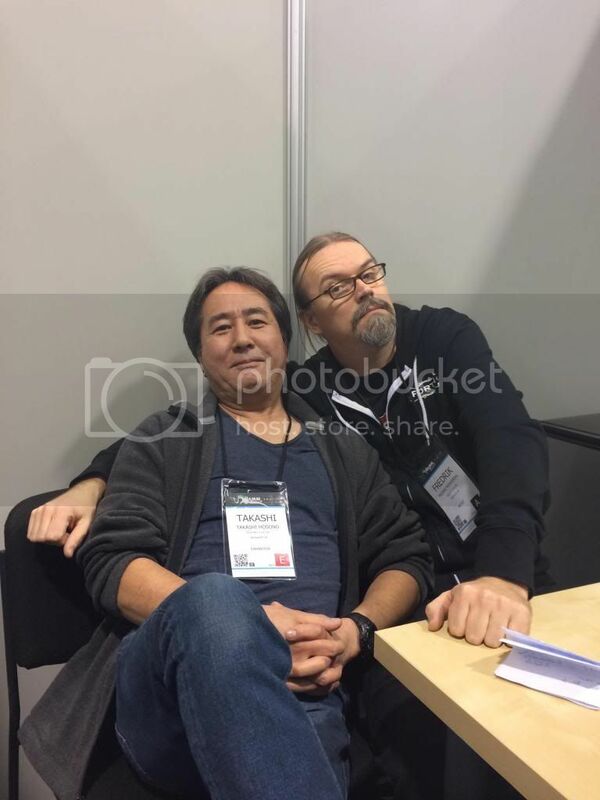 You seem to be the right guy to ask, as I've asked Junji but have not really gotten an answer. Why are the necks so wide on the 8's? 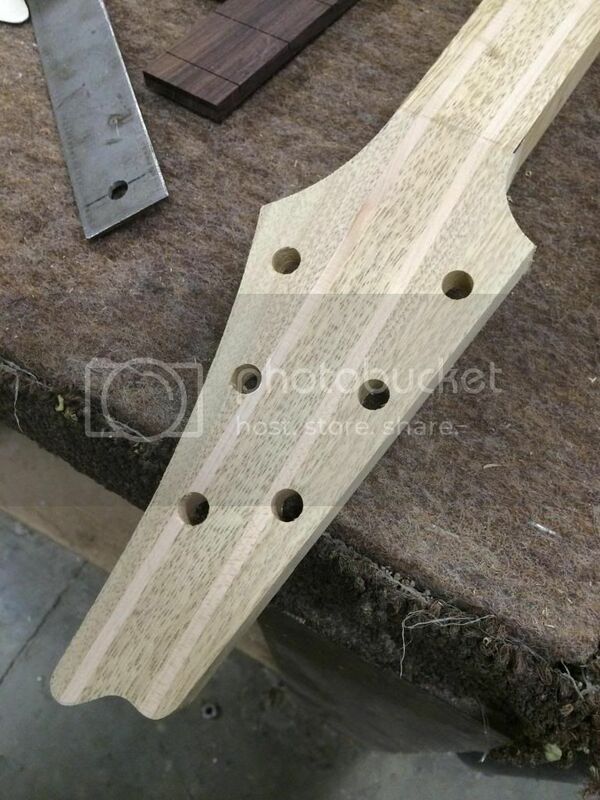 Players complain about the 58mm heel RG necks which have 3mm between edge of string to edge of board [wanting the old 56mm heel], yet the 8 necks have 5mm from the edge of string to the edge of board. Why so wide? The neck is already extremely wide, it just seems unnecessary to be that much wider than a 6 or 7 string proportionally. When I started to working with Fredrik and Marten some 13 years or so ago, they were using our RG7 most of the time. I had a meeting with Meshuggah guys about making new guitar and bass for them, during the meeting Fredrik asked me to come up with 8 string version of RG with much longer scale like 29.5" and neck through body style. I made two guitars at the time and have them tried out. These guitars had 55mm by 81mm fingerboard (not 80mm). Our 8 string guitar bridge is 75mm spacing (10.71 pitch) right now so with 80mm wide fingerboard that gives about 6mm center of the string to edge of the fingerboard. Rich please easy on me......I'm just a guitar making slave work for my master Fredrik. The RG7 was evolved from RG6 (same design concept) but RG8 started as a LACS custom guitar. That's the reason why does not share same design concept as RG6, RG7 (original 8 string bridge saddle pitch was 11mm). Is this make some sense to you????? Last edited by Tak Hosono; 03-31-2014 at 08:39 PM. Yeah, let's put it this way, Fredrik's spec to begin with and we like it.